Eco friendly vehicles have gained huge importance in this era of global warming as they emit very less amount of toxic gases into the environment. Eco friendly cars run on electrical batteries that reduce the amount of carbon dioxide in the environment. These years, a large number of car makers have been introducing eco friendly luxury cars with improved design and enhanced performance with more emphasis on reducing pollution and waste. Hybrid cars come with engines that provide an enhanced fuel-efficiency that reduces the dependence of cars on fuel, which save the money of their owners. The four door hybrid cars deliver an excellent performance and perfectly fit the lifestyles of small families. Hybrid technology is also coming in large sized vehicles that large families prefer more often. Eco friendly vehicles are considered to be used in large numbers in the future as they increase the savings, decrease environmental degradation and mitigate the dependence on fuel. The car market in the UAE is filled with a large number of luxury vehicles that the car enthusiasts demand. Similarly, this car market has been proving itself very successful for hybrid cars as their demand has increased in these years. This article will discuss important eco friendly vehicles that are changing the dynamics of the car market in the UAE. 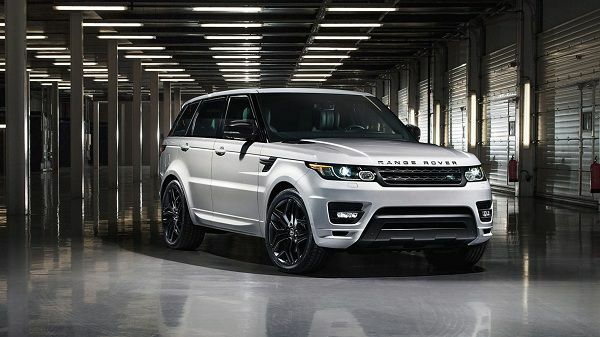 Since its inception a century ago, Land Rover automobile company has been producing top class vehicles for its customers. 2017 Range Rover Hybrid has an exterior with a bold design that demands a second look from its customers. The exterior of this SUV is aerodynamically designed with bold shoulders, sleek lines, and sculpted corners that have taken it to an advance level in hybrid cars’ world. The rear spoiler and twin Active Sports Exhaust system that is fitted in its rear give it a dynamic sports look. Its exterior can be selected in available multiple colors that put it into the category stylish eco friendly vehicles. It has an interior that is perfectly designed to support different lifestyles of families. The available 16-way sport powered seats deliver an excellent comfort to their occupants. These seats are integrated into a memory hold system that does not allow the driver and passengers to forget about the seating position. It has a long centre console with integrated arm-rest and cup holders that make the ride easy. Its interior offer ample cargo space with an option of folding all five rear seats that enable the families to carry different objects on adventurous trips. A 10-inch touchscreen is fitted into its dashboard that is integrated with In-Control Touch Pro System, which provides mobile connectivity, multimedia functions, and navigation that make the ride safe and entertaining. Two touch-screens are fitted into rear seats for the convenience of rear passengers. The available head-up display in this eco-friendly family car helps the driver during the ride that make the ride safe. It comes with two engines that are a 3.0-liter SC 6-cylinder engine and 5.0-liter SC 8-cylinder engine, which is paired with an eight-speed automatic transmission and deliver an enhanced performance and excellent fuel-efficiency. The carbon emission of these engines is very low that helps environmental conservation. This vehicle is loaded with important safety features, for example, adaptive cruise control, lane keep assist, autonomous emergency braking, and is available at an initial price of AED 349,000 in the UAE. 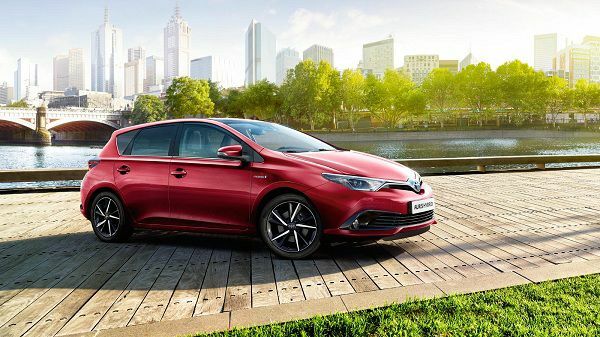 2017 Toyota Auris Hybrid was introduced by Toyota Automobile Company in 2006 since then, it is coming with improved technologies and stylish designs. Toyota Auris Hybrid 2017 is a five-door hatchback that is ranked among the top eco-friendly family cars. It comes with a dynamic style and a spacious interior that is designed perfectly to support different life styles. It has a long bonnet that gives it a sleek look and large air vents are fitted into its front bumpers that enable the passage of air smoothly and provide an improved balance during the ride. The available LED headlights and fog-lamps provide an excellent view of the road to the driver that makes the ride safe and easy. Moreover, the fitted 17-inch alloy-wheels provide it an excellent road grip. Its interior is designed with fine materials that deliver an enhanced performance. The seats are placed perfectly to support the driver and passengers during the ride. The three-spoke steering wheel is mounted with electronic buttons that enable the driver to control different functions without any hesitation. Its interior offer ample head-leg room and a large cargo space that make it a nice eco-friendly family car. The dashboard of this car is fitted with a touch-screen that controls different functions, for example, multimedia, mobile connectivity, and navigation mapping during the ride. The centre-console is fitted with arm-rest and cup holders that deliver an enhanced comfort to its driver and passengers that make the ride easy. It comes with a 1.3-liter 4-cylinder Atkinson Cycle engine that is paired with an eco-mode, which delivers an enhanced performance and an excellent 3.5-liter per 100 Km fuel-efficiency. The available eco-mode reduce the emission of harmful gases that put it among the best eco friendly vehicles. This hatchback is fitted with important safety features, for example, pre-collision system, lane departure warning, adaptive cruise control, and is available at a very affordable price of AED 84,400 in the UAE. Hyundai Ioniq Hybrid 2017 is a top-class eco-friendly luxury car that comes with improved design and an enhanced performance, which gives it an aggressive road presence. Hyundai Motors has been introducing the best cars in the market for a long time that has made them a top world renowned automobile company. Hyundai Ioniq 2017 has a low-air-resistance design with important aerodynamic features, for example, Active Air Flap that dynamically adjusts the front grille to allow greater inflow of air to keep the engine cool in different road conditions. The available dynamic bending LED headlamps automatically adjust themselves according to the road conditions and deliver an enhanced view of the road to the driver during the ride. The side mirrors are integrated with turning lamps that provide it a striking look. The available 15-inch alloy wheels provide it an enhanced grip on the road during the ride. Its interior is ergonomically designed to support different life styles of families. The available six-way adjustable heated front seats enable the driver and front passenger to control the temperature of seats in different weather conditions that make the ride pleasant. Its interior offers an ample space with an option of 60/40 split of rear seats that enable the families to take heavy luggage on adventurous trips. The available panoramic sunroof provides a fresh breathe of air and an enhanced view of the sky to its front seats. Its dashboard is fitted with a seven-inch touchscreen display that provides apple and android mobile connectivity, which make the ride entertaining. It comes with a 1.6-liter petrol engine paired with a lithium battery that provides an enhanced 57 mpg city, 59 mpg highway, and 58 mpg combined fuel-efficiency. Eco friendly vehicles are coming with improved safety features, similarly, Hyundai Ioniq is fitted with important safety features that make the ride safe, for example, automatic emergency braking, blind spot detection, lane departure warning, etc. Hyundai Ioniq Hybrid 2017 is available at an initial price of AED 92,000 in the UAE. 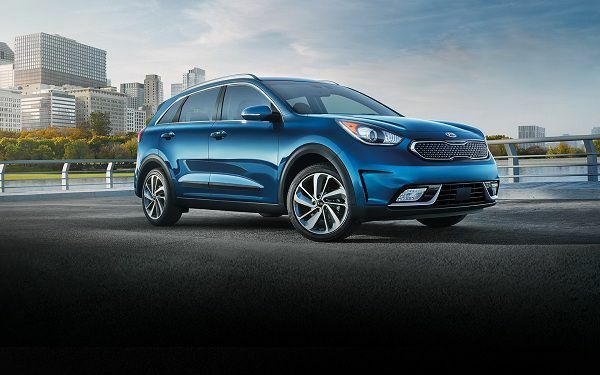 Kia Niro 2017 is the prime product of Kia Motors, which has been producing top class vehicles since its inception in 1944. The company has introduced some of the best eco friendly vehicles in recent times. Niro 2017 has got a stylish aerodynamic design that helps minimize drag and improve the fuel-efficiency. The dynamic size of this vehicle makes it perfect for city drive that enables its customers to perform different functions easily, for example, going to the office. The available HID projector beam headlamps provide an enhanced view of the road to the driver that makes the ride safe. The LED daytime running lights and fog lamps further enhance the safety of this vehicle. The 16-inch alloy-wheels are fitted in this eco-friendly vehicle that provides it an enhanced grip on the road. Moreover, the available panoramic sunroof provides an excellent view of the sky to its front seats. Seating in its interior is done to deliver an excellent comfort to its driver and passengers during the ride. Niro 2017 offers 19.4 cubic feet of cargo storage with an option of 60/40 folding of rear seats that increase the cargo space up to 54.5 cubic feet, which enables the families to carry heavy luggage on different trips. Its dashboard is fitted with a 7-inch display touchscreen that offers android and apple mobile connectivity, which make the ride entertaining. The available dual-zone climate control provides a fresh ride to its front and rear passengers. The centre console in its interior is integrated with arm-rest and offers cup holders storage that makes the ride easy. It comes with a 1.6-liter 4-cylinder engine paired with lithium-ion polymer battery that produces 146 horsepower and delivers an excellent 4.7-liter per 100 Km fuel-efficiency. The eco-driver mode reduces the emission of harmful gases into the environment that makes it a top-class eco-friendly vehicle. Kia has introduced important safety features in their all-new Niro 2017, for example, vehicle stability management system, blind spot detection, and eight air bags that make the ride very safe. It is available at an initial price of AED 99,000 in the UAE. The sale of hybrid cars has been increasing in this era of global warming where environment experts are referring the usage of hybrid cars. Hybrid cars offer improved technology, enhanced fuel-efficiency, and excellent safety features that put them on top in the automobile market. The above mentioned hybrid vehicles are the best eco friendly vehicles that support different lifestyles of families and are easily available in the car market of the UAE. Posted in Hybrid Cars, Main.